Even after World War II ended, the Nationalists and Communists fought for control over the country. Mao Zedong – dominated northwestern China and leader for Communists. Jiang Jieshi – dominated southwestern China and leader for Nationalists. The United States sent $1.5 billion in aid to the Nationalist for the fight against the Japanese but it ended up in the hands of corrupt officers . They actually fought few battles against the Japanese and saved its strength for battles against Mao’s army. Even when the Japanese surrendered, the Nationalists and Communists resumed their civil war. The Nationalists had an advantage as the United States provided $2 billion more in aid. But, Nationalists moved the Communists side because the economy was collapsing and the Communists were better train and they were promised return of land. 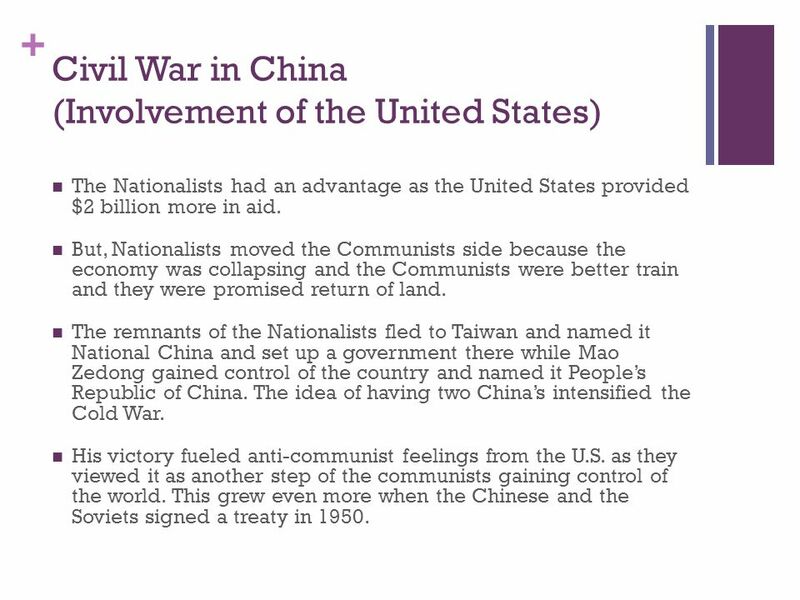 The remnants of the Nationalists fled to Taiwan and named it National China and set up a government there while Mao Zedong gained control of the country and named it People’s Republic of China. The idea of having two China’s intensified the Cold War. His victory fueled anti-communist feelings from the U.S. as they viewed it as another step of the communists gaining control of the world. This grew even more when the Chinese and the Soviets signed a treaty in 1950. 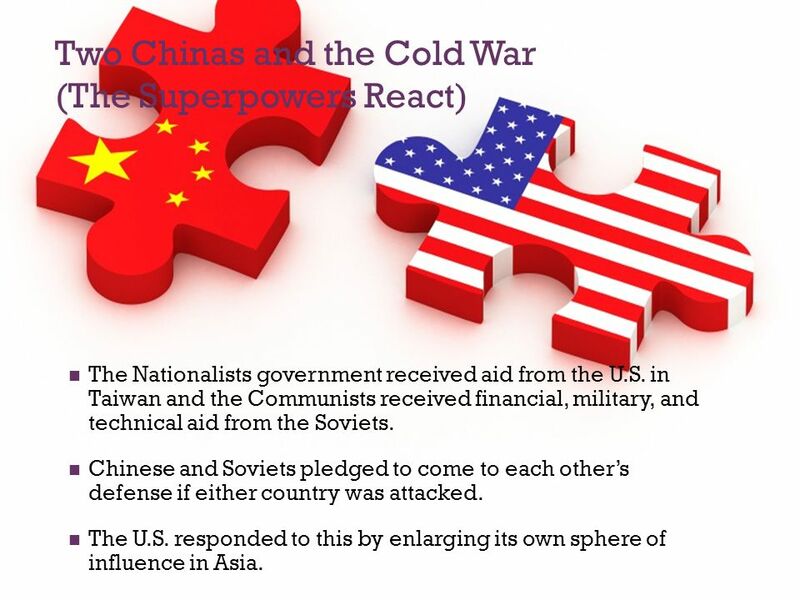 The Nationalists government received aid from the U.S. in Taiwan and the Communists received financial, military, and technical aid from the Soviets. Chinese and Soviets pledged to come to each other’s defense if either country was attacked. The U.S. responded to this by enlarging its own sphere of influence in Asia. Chinese troops expanded into southern/Inner Mongolia, Tibet, and India. They named Mongolia an “Autonomous Area.” Tibet became an autonomous region. 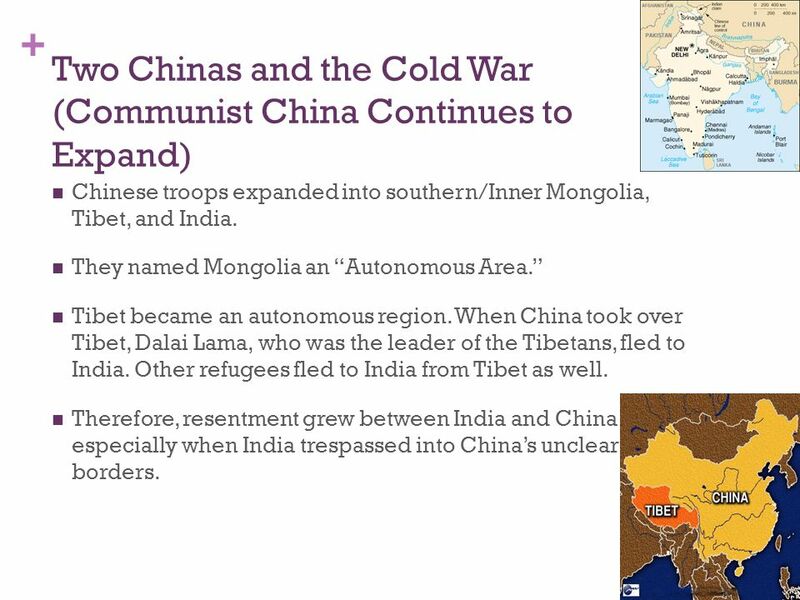 When China took over Tibet, Dalai Lama, who was the leader of the Tibetans, fled to India. Other refugees fled to India from Tibet as well. Therefore, resentment grew between India and China especially when India trespassed into China’s unclear borders. 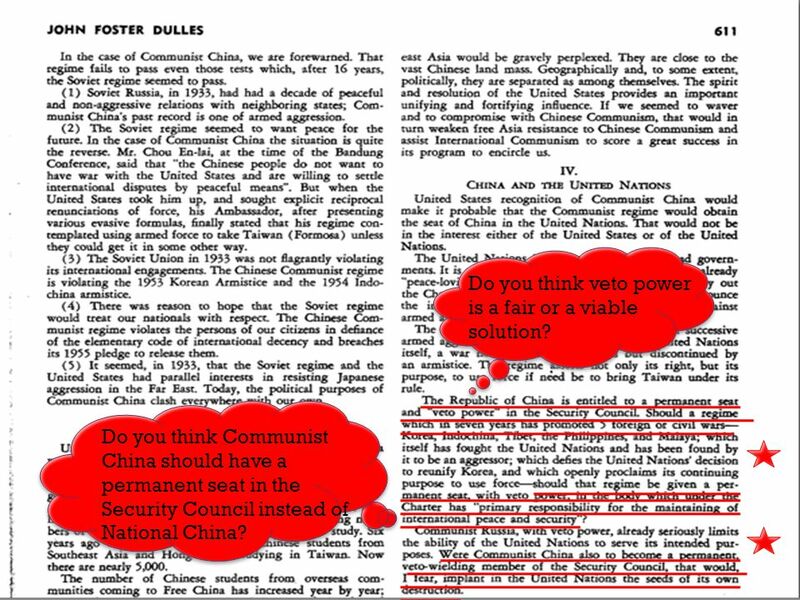 The Mao Communists moved rapidly to strengthen their rule over China. 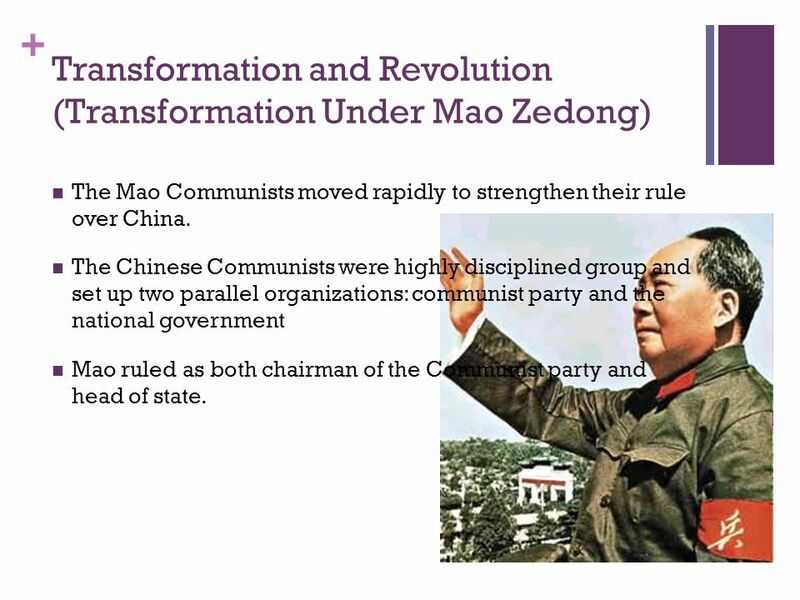 The Chinese Communists were highly disciplined group and set up two parallel organizations: communist party and the national government Mao ruled as both chairman of the Communist party and head of state. 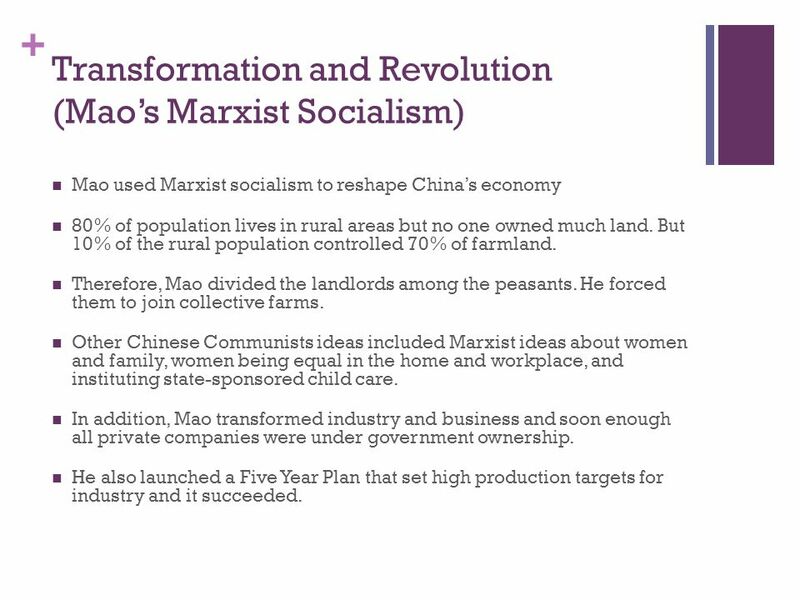 Mao used Marxist socialism to reshape China’s economy 80% of population lives in rural areas but no one owned much land. But 10% of the rural population controlled 70% of farmland. Therefore, Mao divided the landlords among the peasants. He forced them to join collective farms. Other Chinese Communists ideas included Marxist ideas about women and family, women being equal in the home and workplace, and instituting state-sponsored child care. In addition, Mao transformed industry and business and soon enough all private companies were under government ownership. He also launched a Five Year Plan that set high production targets for industry and it succeeded. 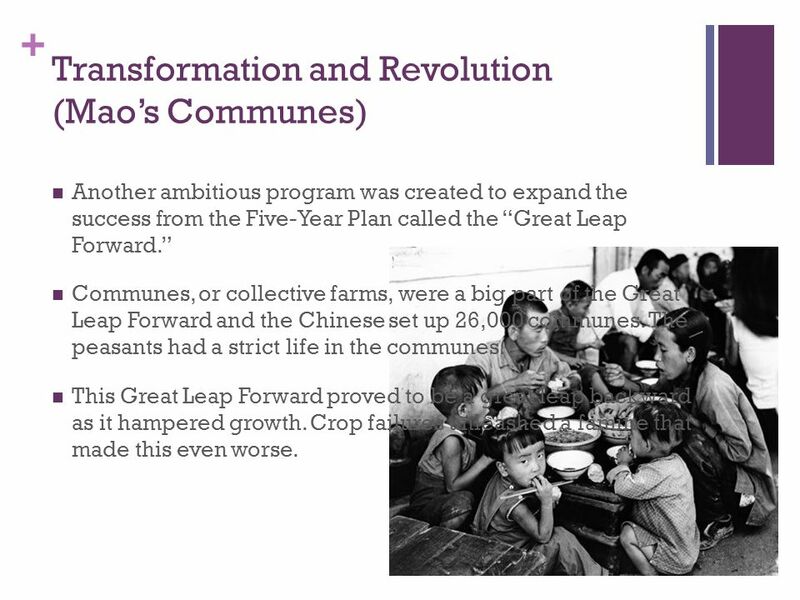 Another ambitious program was created to expand the success from the Five-Year Plan called the “Great Leap Forward.” Communes, or collective farms, were a big part of the Great Leap Forward and the Chinese set up 26,000 communes. The peasants had a strict life in the communes. 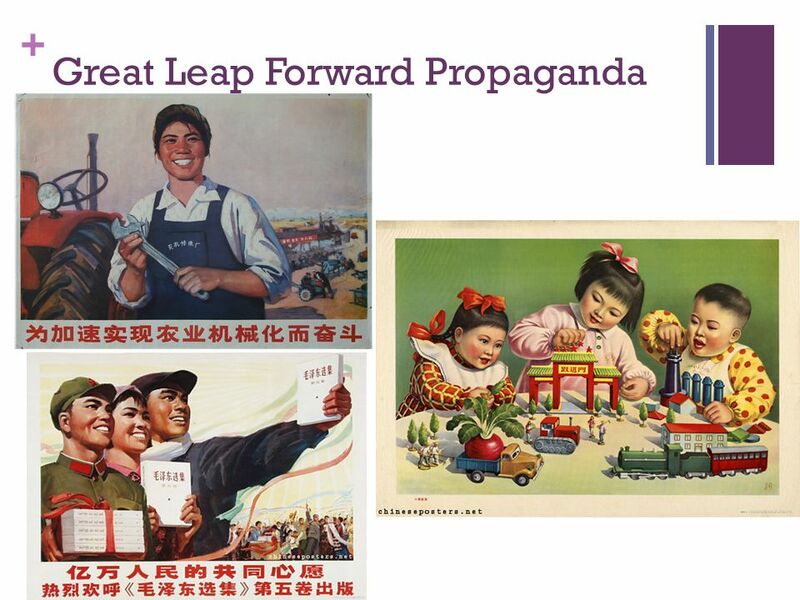 This Great Leap Forward proved to be a great leap backward as it hampered growth. Crop failures unleashed a famine that made this even worse. China faced external problems as well internal ones. The alliance between the Soviet Union and China began to fade because they both wanted to lead the worldwide Communist movement and faced territorial disputes. After this split and the failure of the Great Leap Forward, Mao stepped down in position and the new leaders gave the rights back to the people that Mao took away. 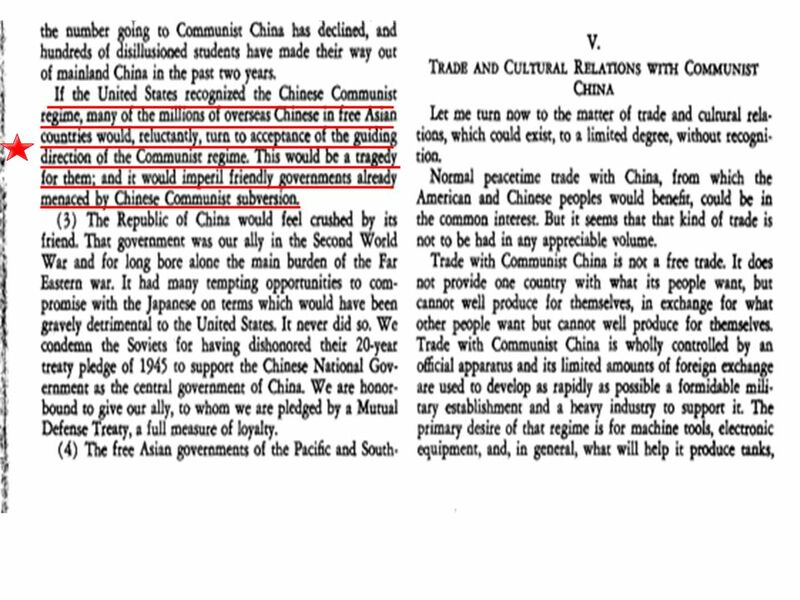 But, Mao disapproved of China’s new economic policies so he launched another campaign directed toward high school and college students. 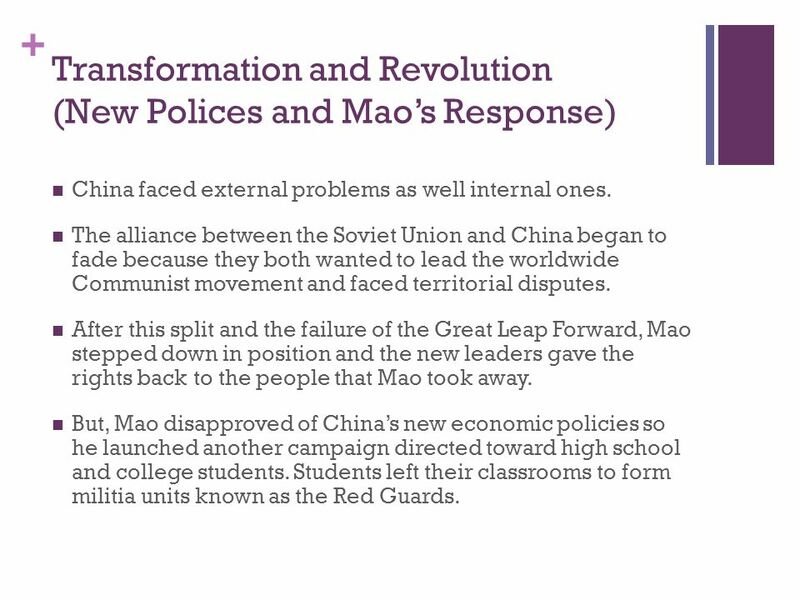 Students left their classrooms to form militia units known as the Red Guards. 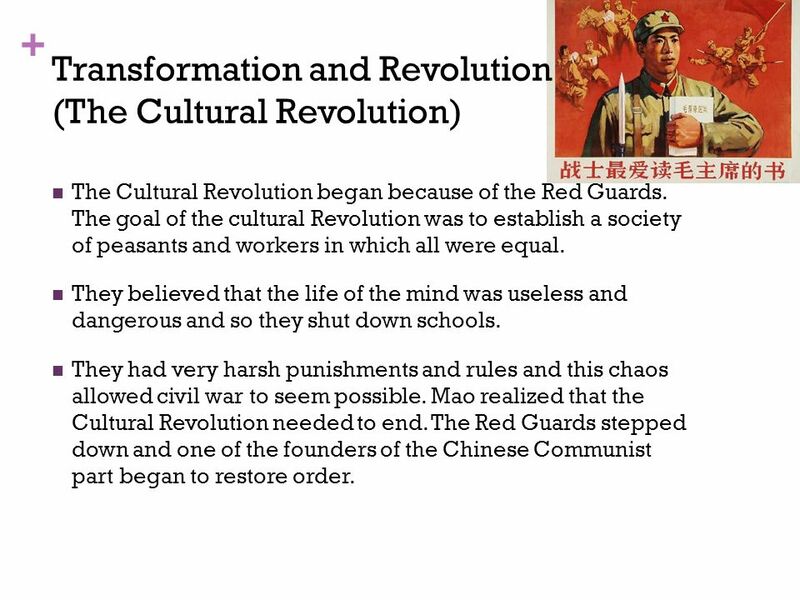 The Cultural Revolution began because of the Red Guards. The goal of the cultural Revolution was to establish a society of peasants and workers in which all were equal. They believed that the life of the mind was useless and dangerous and so they shut down schools. They had very harsh punishments and rules and this chaos allowed civil war to seem possible. Mao realized that the Cultural Revolution needed to end. The Red Guards stepped down and one of the founders of the Chinese Communist part began to restore order. 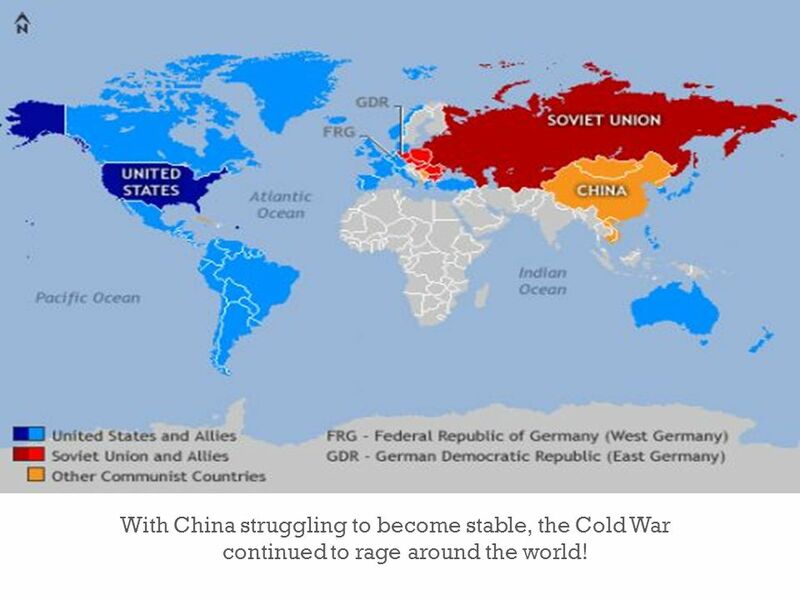 13 With China struggling to become stable, the Cold War continued to rage around the world! Idea of Communism Around the World: China is still a communist country, but turning to a more capitalist economy. Looking at North Korea, we see a dictatorial state. 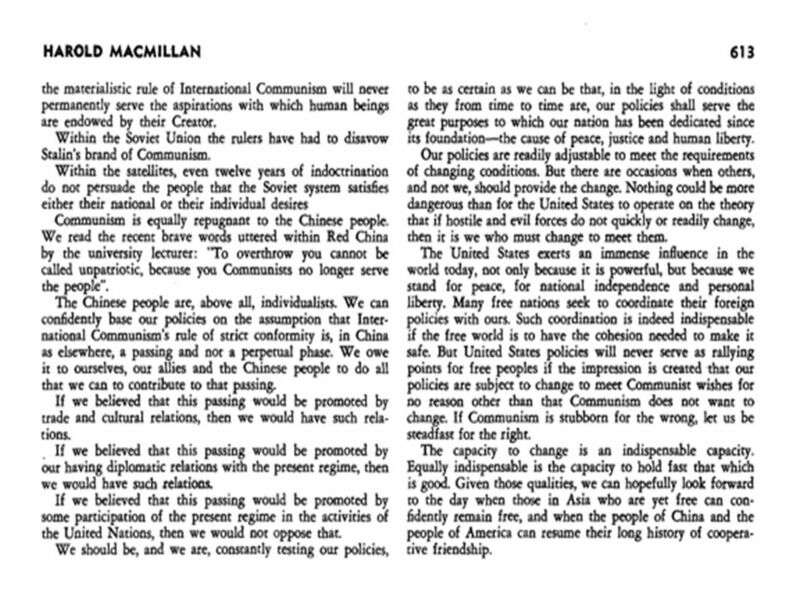 Do you think the ideas of communism or capitalism better the international community. Idea of the Security Council: Should there be 5 permanent members? Should they have veto power? What would happen if another UNSC conflict were to arise? 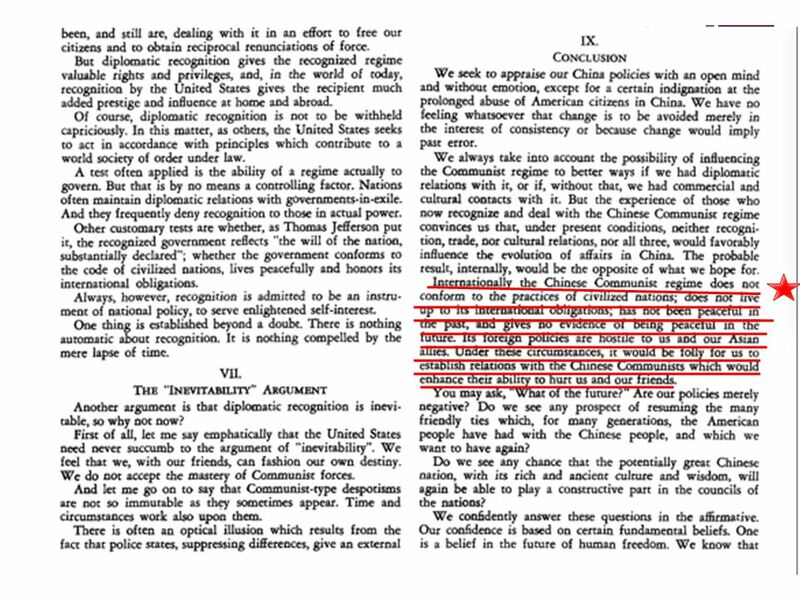 16 When did the U.S. get involved with Asia? 17 Discussion Questions Do you think veto power is a fair or a viable solution? 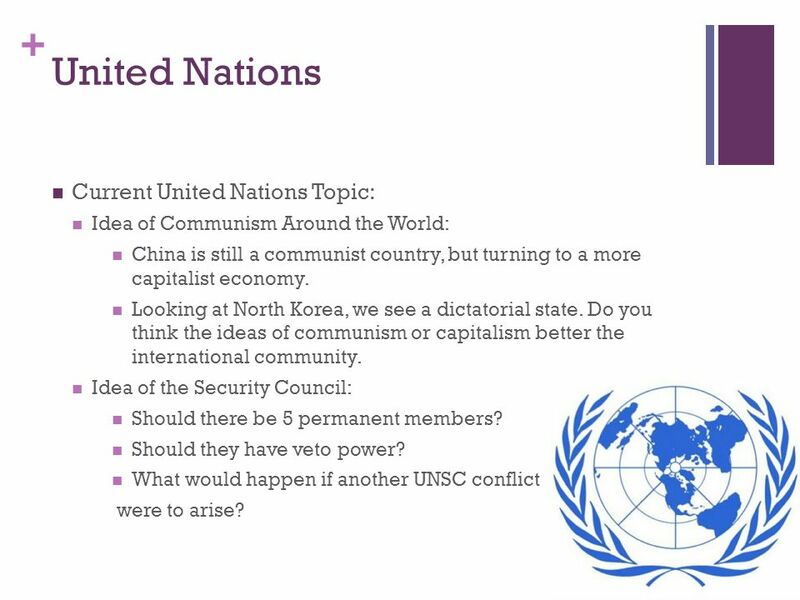 Do you think Communist China should have a permanent seat in the Security Council instead of National China? 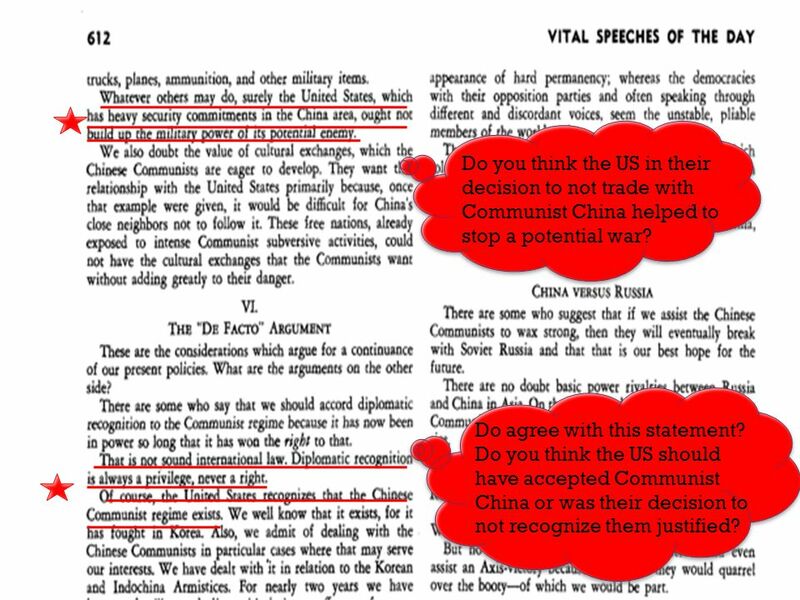 19 Do you think the US in their decision to not trade with Communist China helped to stop a potential war? Do agree with this statement? 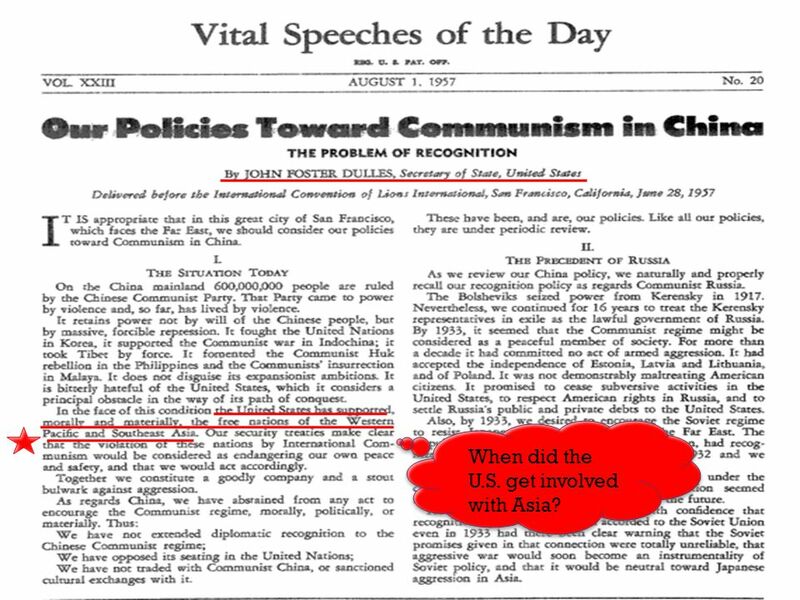 Do you think the US should have accepted Communist China or was their decision to not recognize them justified? 25 Works Cited Beck, Roger B., Linda Black, Larry S. Kriger, Phillip C. Naylor, and Dahia I. Shabaka. 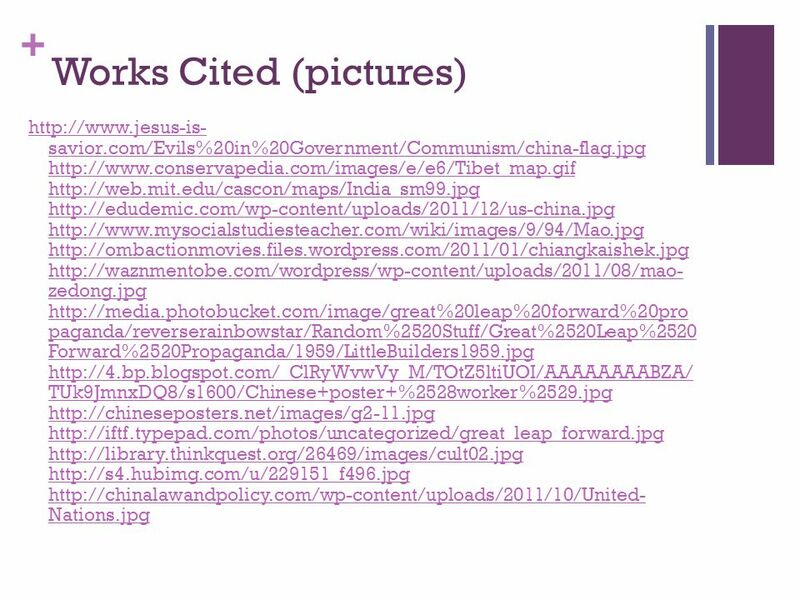 Modern World History. Evanston: McDougal Littell, Print. 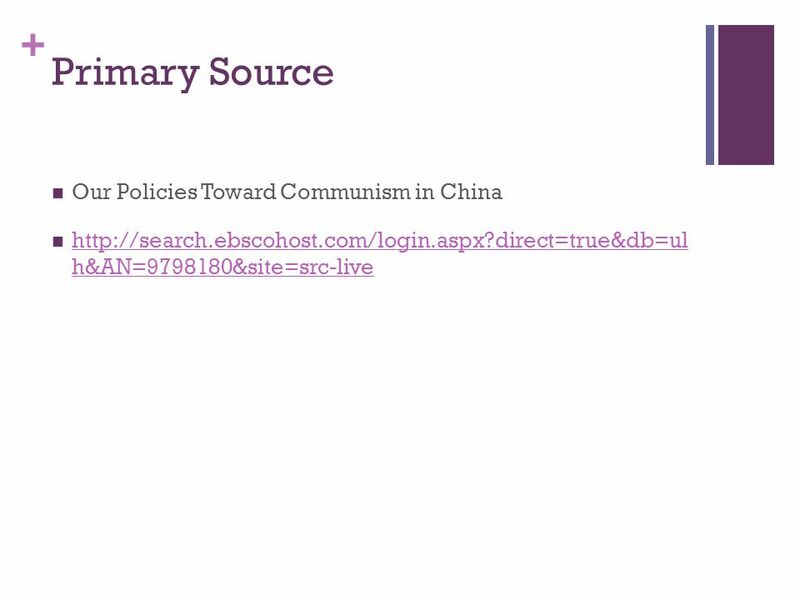 "Our Policies Toward Communism in China." Vital Speeches of the Day. N.p., 1 Aug MAS Ultra - School Edition. Web. 7 May < b- 723c96737abf%40sessionmgr110&vid=1&hid=108&bdata=Jn NpdGU9c3JjLWxpdmU%3d#db=ulh&AN= >. 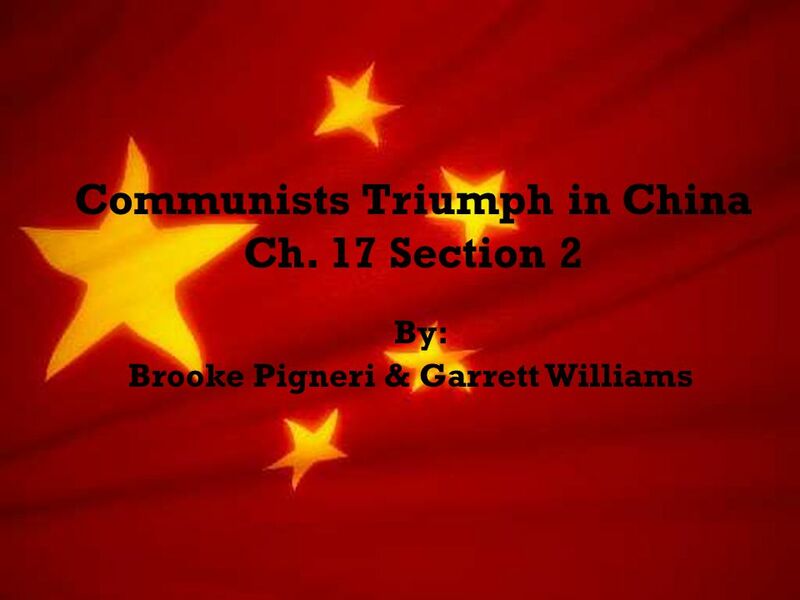 Download ppt "Communists Triumph in China Ch. 17 Section 2"
Monday May 19, 2014 Goal: Compare economic & military power shifts caused by the war. 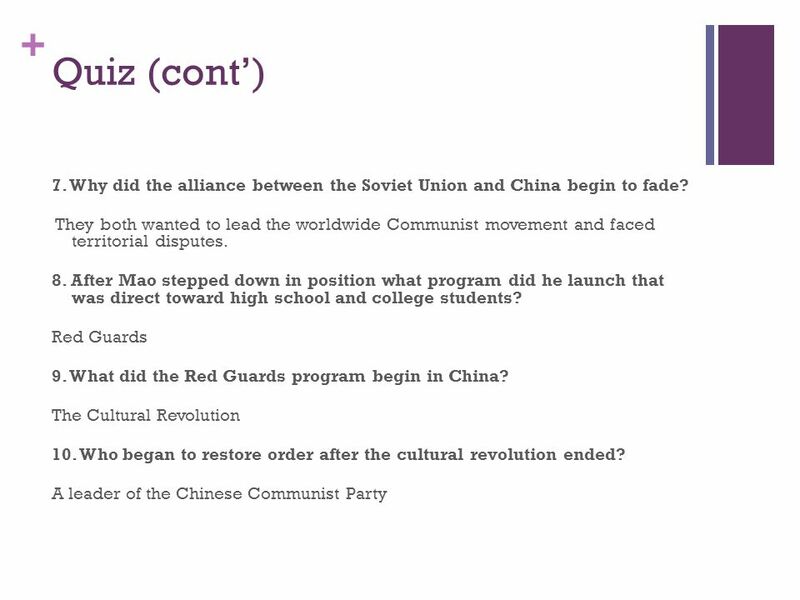 In-class: 17.2 Communists Take Power in China PPT Notes Reflection. 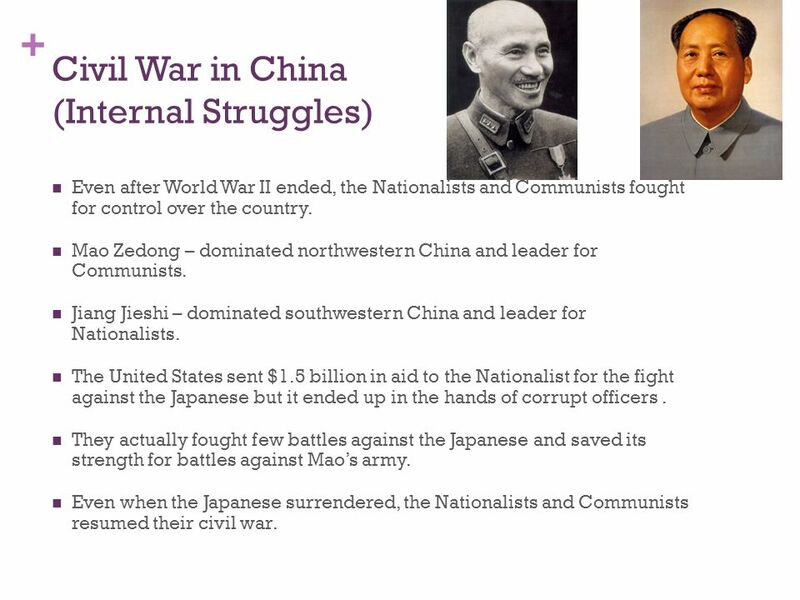 Chinese Civil War Who gains control of China and why? VS.
Communists Take Power China. 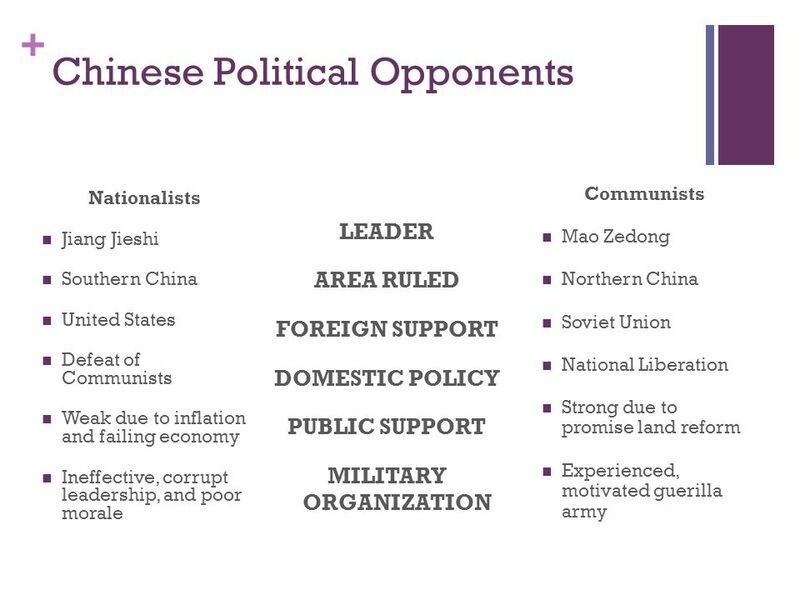 Chinese Political Opponents 1945 NationalistsCommunists Jiang Jieshi Leader Mao Zedong Area Ruled Foreign Support Domestic. TEKS 8C: Calculate percent composition and empirical and molecular formulas. Cold War China and Korea. Communism in China China’s Reform and Reaction Young Keezy and Jay Daddy Ice. Imperial China Collapse By Opeyemi Fadeyibi and Henry Adegunle By Opeyemi Fadeyibi and Henry Adegunle. Nationalist interests for the Vietnamese against the Imperial US forces Easy and fast trading The United States sided with Israel and the USSR sided with. What is Communism? It is an economic system in which all products are own by the people. There is no private property, and everything is distributed equally. 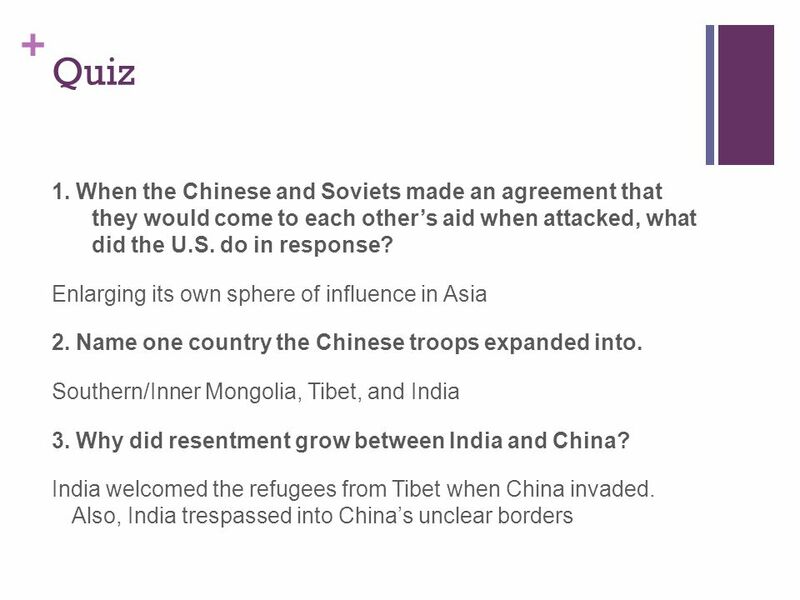 Anticipatory Set Discuss the following questions with your neighbor: Was the conflict in China part of the Cold War? Why/why.